Ahiya Araki of Moshav Bnei Re'em drowns in the Jordan River and later dies in hospital. A teenager died on Wednesday after jumping into the Jordan River and drowning. The teen, Ahiya Araki of the religious Moshav Bnei Re’em in the Shephelah region, was taken to the Ziv Hospital in Tzfat in critical condition where doctors worked to save his life for several hours before pronouncing him dead. 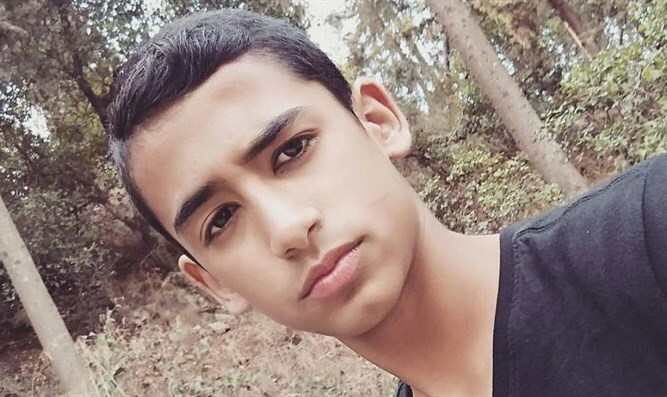 A preliminary investigation by the police found that the boy, who was on a trip with a group of boys his age, jumped into the Jordan River from an improvised springboard, collided with one of his friends who was in the river at the same time, and drowned. He was removed from the water by passersby. Ahiya is survived by his parents, Yaniv and Gitit Araki, and five brothers. His great-grandmother, grandparents, uncles, aunts and cousins reside in Moshav Bnei Re’em as well. He will be laid to rest at 2:00 a.m. at the Yesodot cemetery.